Welcome to my site. The purpose of this site is primarily to be a discussion board on my two favorite genres - Historical and fantasy novels. I have been reading these novels all my life, and have seen both genres change over the years, but the successful fundamentals have always remained the same. My idea of a great novel is an exciting story, set in a world, or a time and place far removed from our own, full of deep and rich characters. Reading has always been about escapism for me, and these two genres have always been the best way to take myself away from the harsh realities of our busy modern world and transport me to somewhere magical, exciting, full of risk and danger, and open my imagination to other realities. If you agree with me, this site is for you. My blog will discuss views on some of my favorite novels, how they contribute to the genres and why they stand out. However, although you will see my reviews of novels, you won't find me awarding marks out of five, or any other scale. This is about my love affair with these novels - so I will try and keep my comments regarding these novels largely positive. I welcome reviews or guest posts from people who would like to contribute. So if you would like to say something to the outside world, or possibly write a review yourself, just check out the submissions tab of this site. I also welcome historical or fantasy authors who wish discuss their own work. Again, just check out the submissions tab. 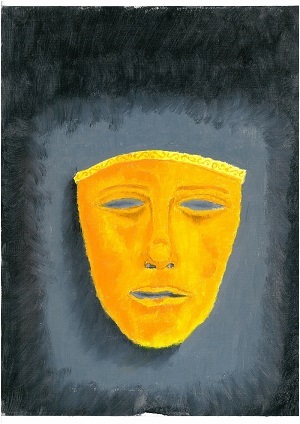 Finally, I enter into the fray myself with my own historical novel: Roman Mask. You can find details of my book here with its own page.